I mentioned way back in the very first post on this blog that on Oahu, if you want to see native denizens of the mountain forest, you usually have to hike for a while to see them. 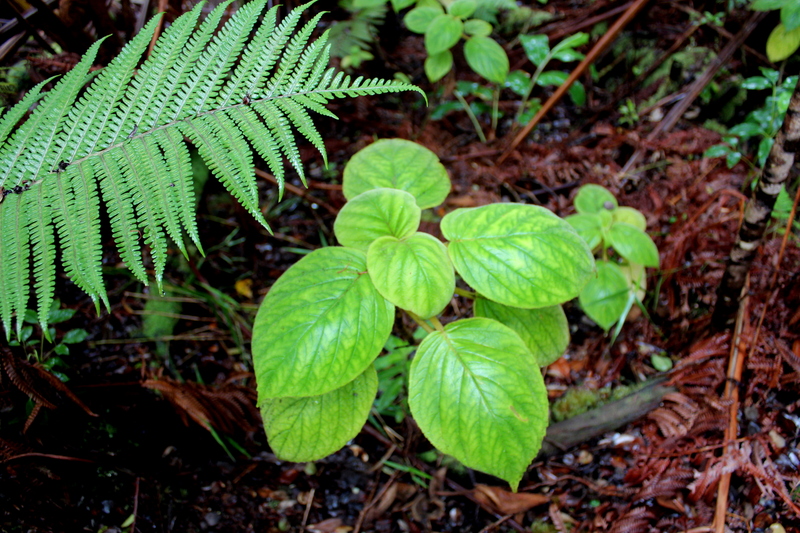 Many of the trails on Oahu start in huge tracts of invasive species. 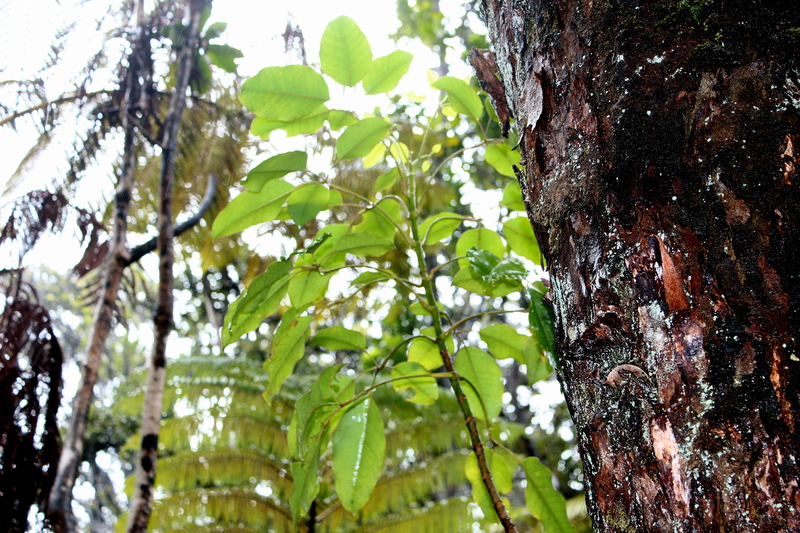 It boggles the mind at the amount of upheaval that happen to the Hawaiian forests. Which is why I cannot repeat enough how awesome Thurston Lava Tube is. You park your car in the parking lot, walk a couple feet in and the riches of the forest lay before you. Let’s take a look at some of those riches. As you can see, the hapu’u around the lava tube were still quite tall, at least 15-20 ft. With all the hapu’u, there was lots of decaying hapu’u trunks around. The ground itself was full of mosses and other bryophytes growing on all the decaying matter. On one hand it’s ironic: to see a healthy living forest, you need to see a healthy dead forest. But on the other hand it makes sense. Before humans arrive, there were no native earthworms. Without them eating all the decaying matter, the forest floor probably wasn’t visible. It would have been covered in layers of rotting plant matter in various stages of decomposition. The reforestation areas that I work in all seem to share the same opposite trait: a vigorously growing canopy, but bare soil everywhere without very many ground cover species. Now I might be weird (probably), but seeing the forest floor and not seeing much dirt was awesome. Of course, nothing is as awesome as native lobeliads. 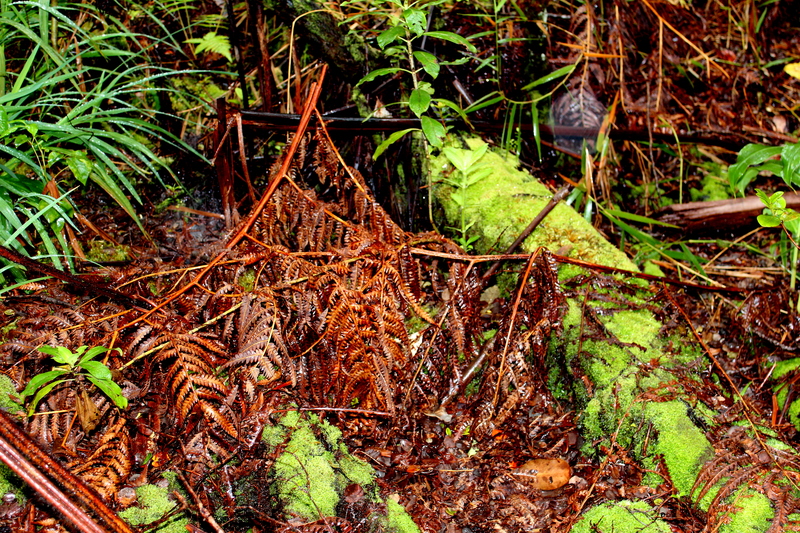 Growing out of this rich, detritus-filled floor were many understory species and seedlings of canopy species. This Clermontia parviflora was one of them. 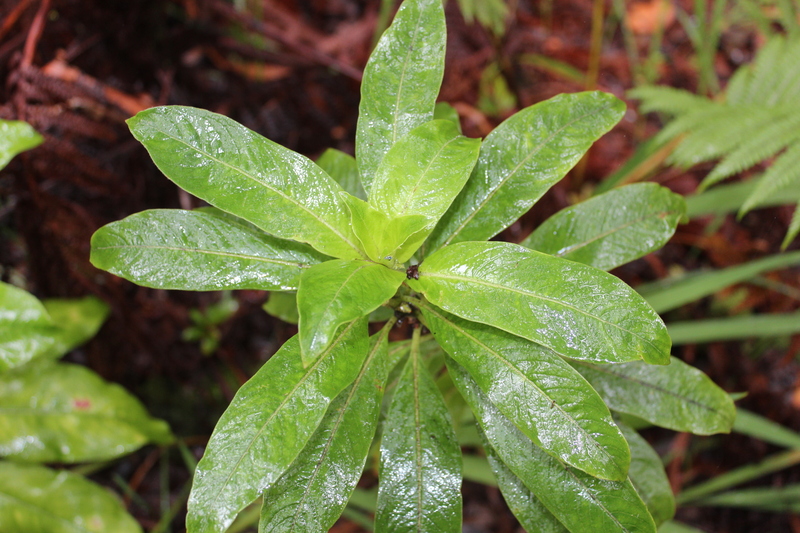 Another species was this Ilihia (Cyrtandra platyphylla). This particular species is only found on the Big Island and Maui. Again, notice all the dead hapu’u fronds on the ground. 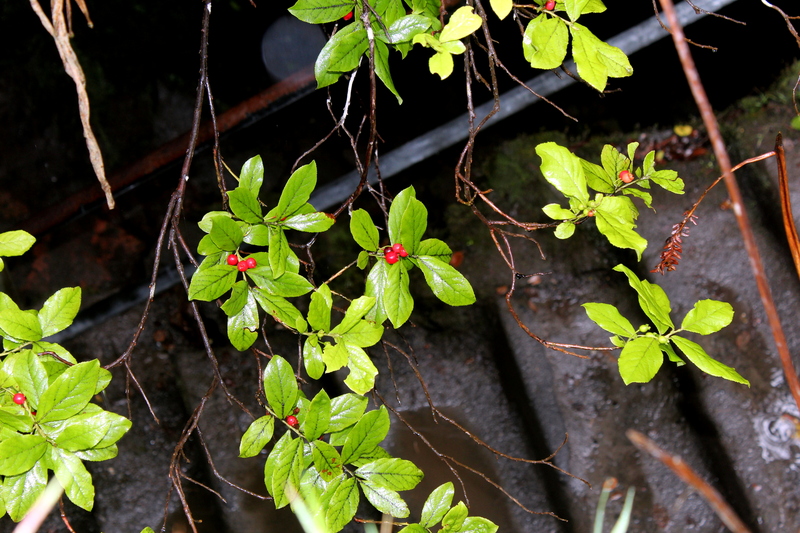 Another common understory plant was this pilo (Coprosma ochracea). These were all around the lava tube. 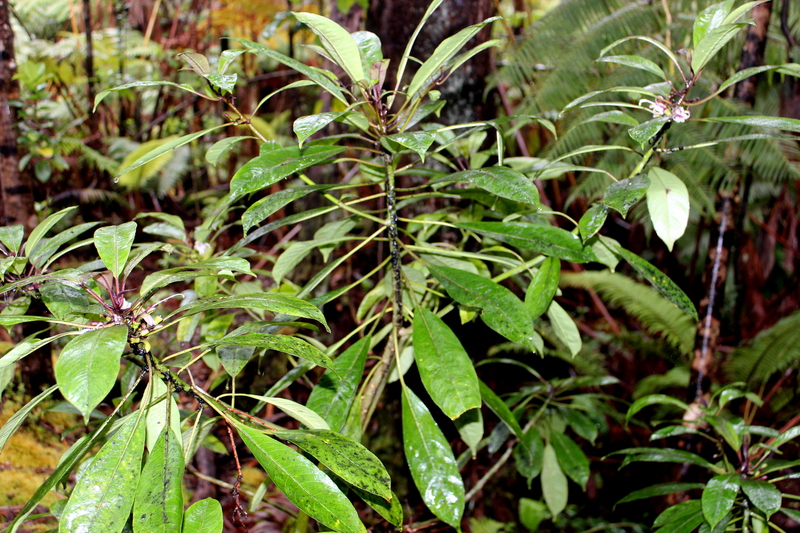 Aside from Ohia, some other trees in the forest include this kawa’u (Ilex anomala). 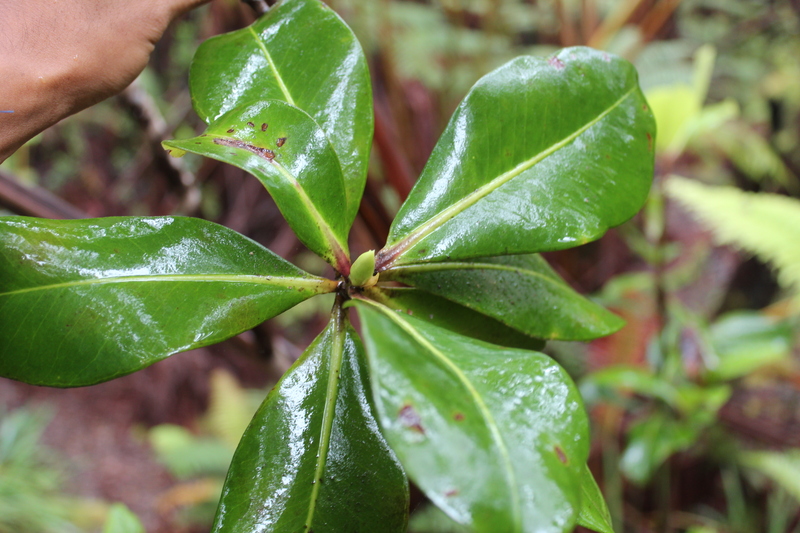 Kawa’u leaves typically have this reticulated venation. Another tree around Thurston was this Kolea (Myrsine lessertiana). 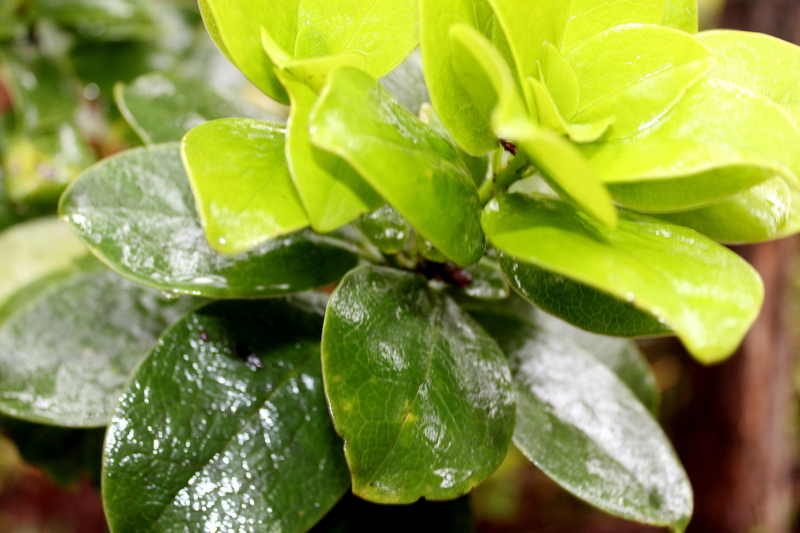 Many different Myrsine species have this sort of reddish petiole. There was much more to see in the area, but I didn’t have as much time to explore as I wanted so I’ll end it here. I would like to leave you with these parting thoughts though: The beauty of all this is the accessibility. If you follow my posts regularly, many involve strenuous hikes up some friable ridgeline, or bushwacking though tangled undergrowth. 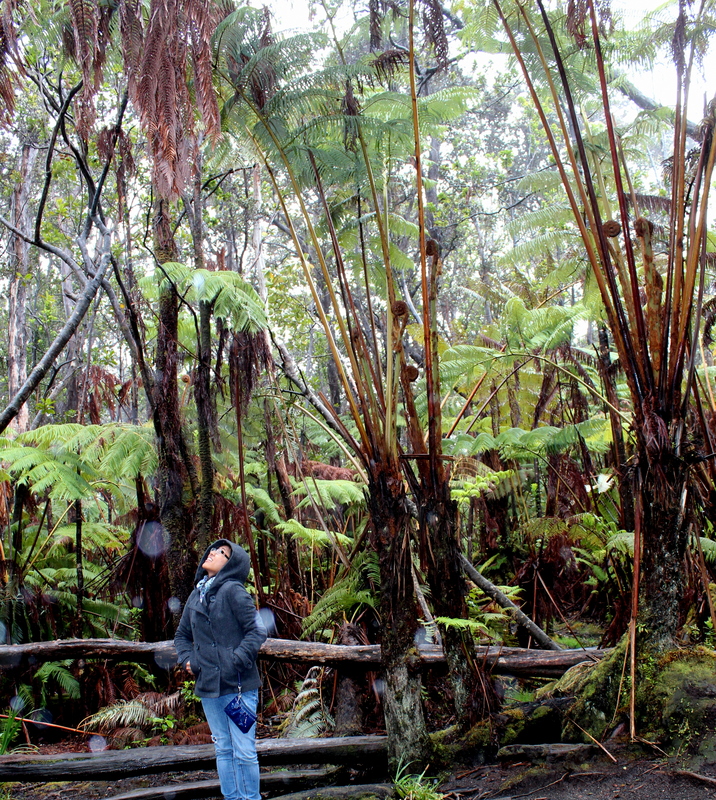 But in this instance, just about anyone can join in experiencing the awesomeness that is a native Hawaiian forest. It’s not often I get to say that, so if you’re ever on the Big Island take a detour toward the Thurston Lava Tube. Your inner naturalist will be ecstatic… and well rested. 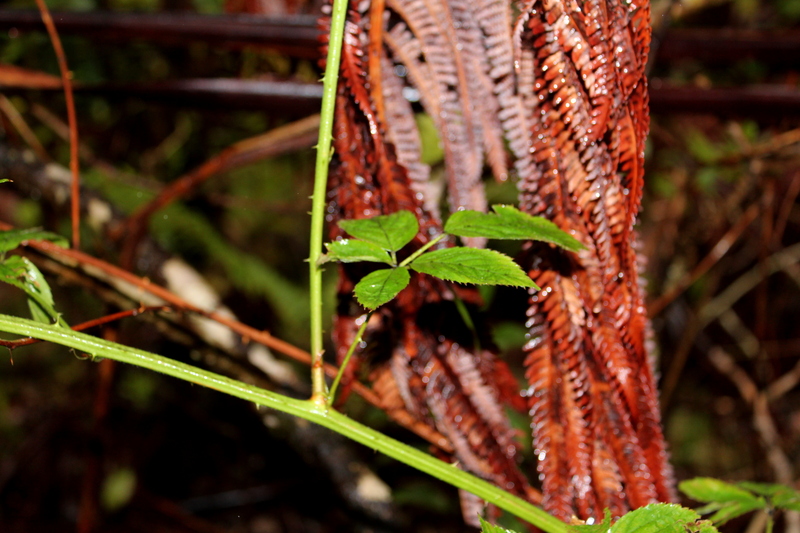 This entry was posted in Botany and tagged Native Hawaiian Plants, Thurston Lava Tube. Bookmark the permalink.